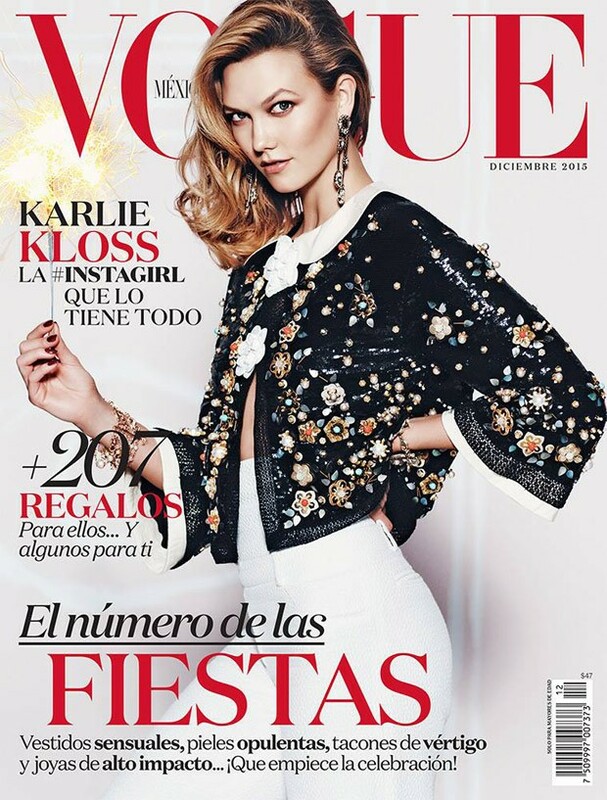 American supermodel Karlie Kloss is the epitome of charm and elegance on the cover of Vogue Mexico's December 2015 issue. 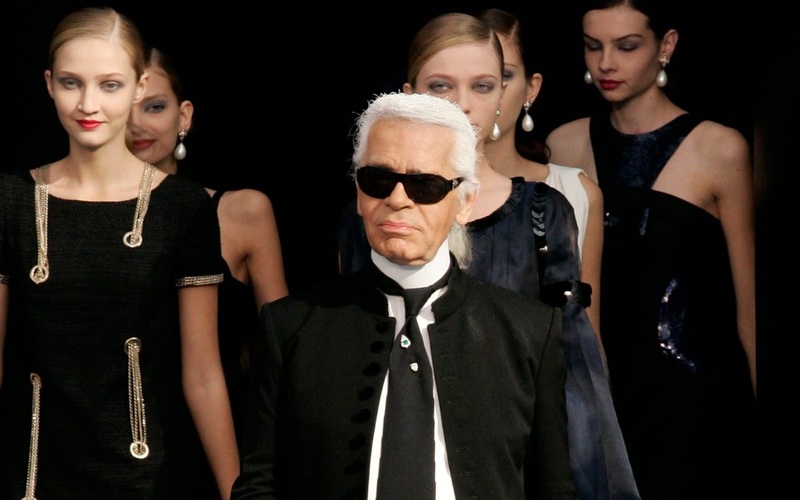 The blonde model, who recently gave up her Victoria's Secret wings to pursue a degree at NYU, wears Chanel and displays her pert derrière in white pencil skirt and a gorgeous black embellished jacket. Lensed by Russell James, Karlie glimmers and glitters, and completes her style with statement drop earrings and a bronzed smoky eye.